Superdrug brings the latest styles and trends to high streets across the UK and Southern Ireland at fantastic prices. On offer are a variety of cosmetics, pharmaceuticals and toiletries ranging from Superdrug Own Brand labels to the latest designer products. 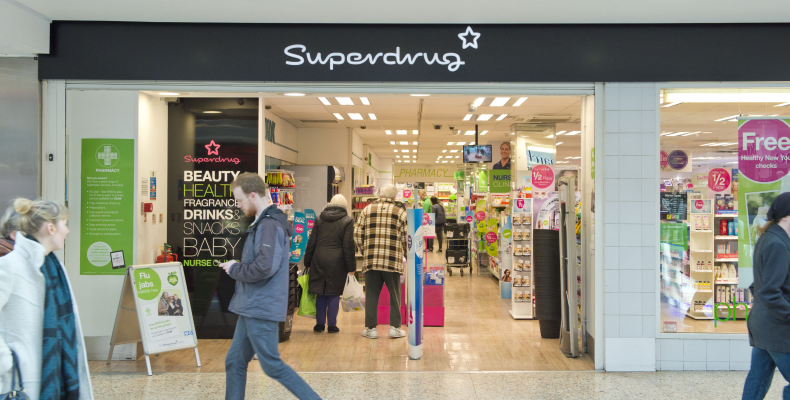 Superdrug is committed to bringing new and innovative brands to their customers exclusively, and faster than their competition. Superdrug, now the largest growing fragrance retailer in the UK, has a fragrance offer on in every shop. Visit the Superdrug store in the Merrion Centre and see which deal is currently available!